SKF has introduced a new range of fork seal kits specifically developed for heavy-duty off-road use. Based on years of experience in suspension sealing systems and on the success of the recently launched fork seal kits, this new range meets the very demanding riders’ need for more protection from mud in extreme environments. This new kit fits most leading front suspension forks used on off-road motorcycles. SKF seal kits for motorcycle forks consist of an oil seal and a wiper seal, developed to achieve superior sealing performance. SKF has developed a new self-lubricating compound. 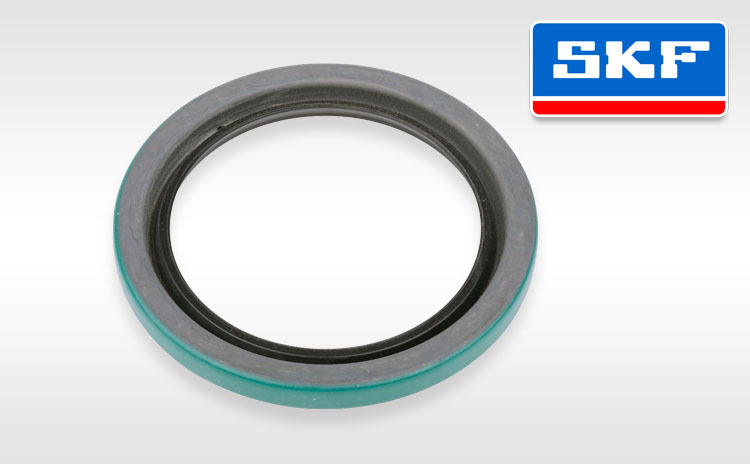 The design and performance characteristics of the seals from this compound enable them to keep oil in and contaminants out of the fork, while virtually eliminating stick-slip and improving performance by reducing friction. This new generation of fork seal kit is optimized to enhance the protection with a dual lip dirt scraper design that creates a labyrinth to limit the exposure of the oil seals to mud to further safeguard the fork setting from losing his performances after short riding time. 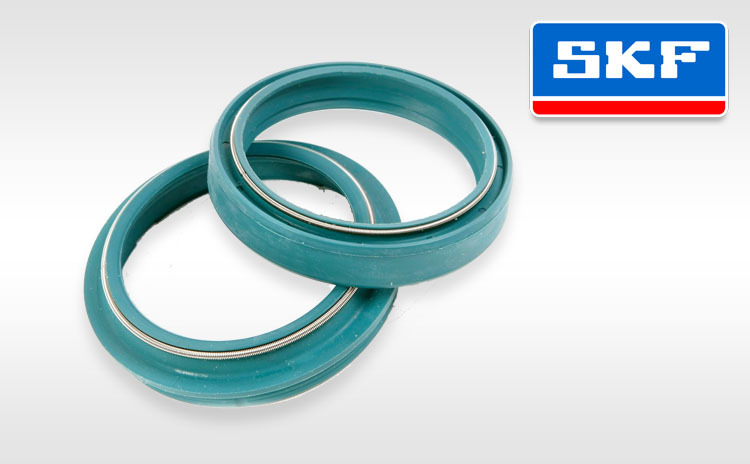 SKF, a pioneer in wheel bearings and seal technology, is a leading supplier of wheel hub seals for truck and car applications. This experience has now been applied to the motorcycle industry, where design, com­pounding and manufacturing of seals has been brought to a new level. The wheel seal kit for motorcycles is a state of the art addi­tion to this product line that meets the de­manding application requirements head on.